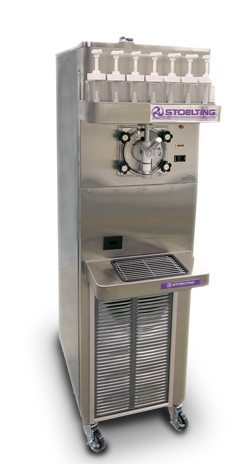 Packed with a large, two-gallon freezing cylinder and 11,000 btu/hr scroll compressor, the U218 is the perfect machine for those needing a high-volume dispensing unit with quick recovery time. Fill it with ready-to-serve frozen drink mix, or a neutral base to combine with dispensed flavours held in U218’s built-in bottle rack. Cup dispensers are optional.